Kenneth Branagh, the director and star of the forthcoming motion picture adaptation of Agatha Christie’s Murder on the Orient Express, has recorded a new audiobook version of the Queen of Mystery’s bestseller for HarperCollins. The recording deal with Branagh was agreed by UK Senior Audio Editor Fionnuala Barrett. The new digital audio is on-sale October 31st, prior to the nationwide release of Murder on the Orient Express in the United States on November 10th. Kenneth Branagh, who plays Poirot in the Twentieth Century Fox adaptation, recorded the new audiobook for HarperCollins UK, which was produced by multi award-winning radio producer and director Cherry Cookson. He is the latest actor to take on the legendary detective, following portrayals from actors including Charles Laughton, Albert Finney, Peter Ustinov and David Suchet. November 2017 will see the release of 20th Century Fox’s feature film adaptation of Agatha Christie’s acclaimed mystery, Murder on the Orient Express. 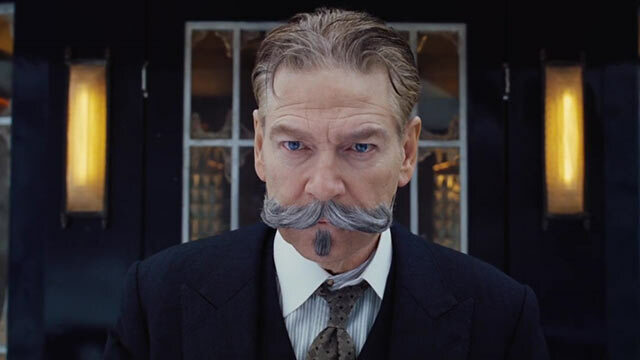 The film will be directed by five-time Academy Award nominee Kenneth Branagh, who will also star as Poirot. Branagh helms an all-star cast that includes Judi Dench, Johnny Depp, Michelle Pfeiffer, Penelope Cruz, Olivia Colman, Willem Dafoe, Daisy Ridley, Tom Bateman, Derek Jacobi, Josh Gad, Leslie Odom Jr, Sergei Polunin and Lucy Boynton. ACL’s recent television projects include the critically-acclaimed BBC One adaptations of And Then There Were None (Aidan Turner, Charles Dance, Sam Neill) and The Witness for the Prosecution (Toby Jones, Andrea Riseborough, Kim Cattrall), both produced by Agatha Christie Ltd alongside Mammoth Screen, with screenplays from Sarah Phelps (Great Expectations, The Casual Vacancy). The latest adaptation, Ordeal By Innocence, is currently in production. Don't forget to enter our Murder on the Orient Express Giveaway here.